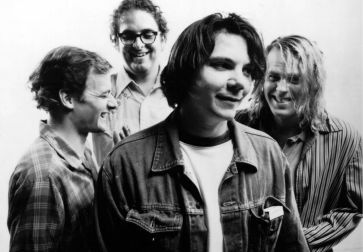 The bulk of Wilco formed when Jeff Tweedy snagged the rhythm section (John Stirrat-bass, Ken Coomer-drums) from the band he co-founded with Jay Farrar, Uncle Tupelo. to form a new group. 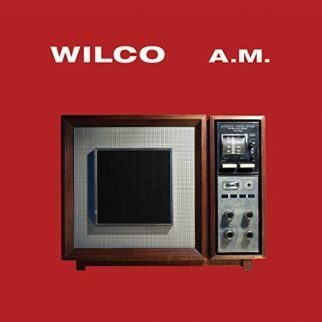 Wilco entered the studio quickly, recording and releasing their debut album A.M. in 1995. Rhino Records offers remastered versions of A.M., adding eight unreleased tracks on the CD. The liner notes for A.M. reflect back on the music, bassist John Stirrat feeling that ‘listening back to records fifteen or twenty years later, I’m always taken by the confident but guileless quality of bands in their 20’s, that strange mixture of innocence and conviction, and this is one of those records – we were barely a band at that point, just trying to make some noise’. Uncle Tupelo had built up a rabid following in the Alt Country community, the break-up of the band like losing a family member for many fans. Jeff Tweedy scribed songs for Wilco that kept the Alt alive in the music as the band incorporated a west coast sound with its mix of Rock and Country. The last studio recording of Uncle Tupelo, “When You Find Trouble”, is included on A.M. as well as an early version of “Outtasite (Outta Mind)”. Unreleased cuts on the album feature acoustic Folk Country with “Myrna Lee” as well as a stomping blast of Rock’n’Roll in “Hesitation Rocks”. A.M. began the journey for Wilco by offering immediate song crushes as the band sees love with empty pockets in “Pick Up the Change”, opens a “Box Full of Letters” with razor-sharp guitar chords, rolls around on a drunken rhythm in the equally inebriated “Passenger Side”, and questions a tossed off goodbye with “I Must Be High”. Hitting the ground running, Wilco left little time to be sad as A.M. brought smiles with bright beats of Country Rock and a wry sense of humor as Wilco pointed out “That’s Not the Issue”, offered advice in “Should’ve Been in Love”, and hammered out a beat to introduce “Casino Queen”.